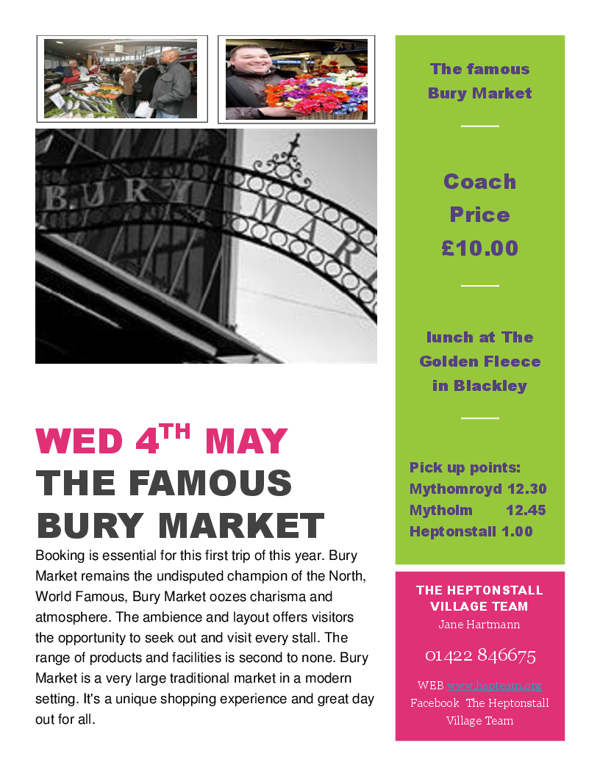 Bury Market remains the undisputed champion of the North so booking is essential for this first trip of this year. World famous, Bury Market oozes charisma and atmosphere. The ambience and layout offers visitors the opportunity to seek out and visit every stall. The range of products and facilities is second to none. Bury Market is a very large traditional market in a modern setting. It’s a unique shopping experience and great day out for all. 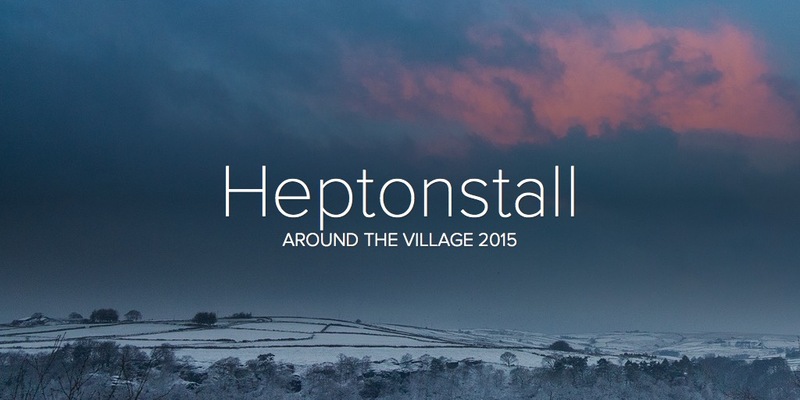 This entry was posted in Events, Heptonstall Village Team, Local Groups news, Services for Older People, Village Team Upcoming Events. Bookmark the permalink.